We will be using ICD-10 in a few weeks. But before that do you know the status on ICD-10 implementation? With the help of coding veterans and influencers, I have come up with few facts most healthcare professionals miss out. In this infographics our experts have shared 6 foundation blocks for successful ICD-10 implementation. Let me break down the facts and foundations for you. I would also like to walk you through detail scenarios and solutions on ICD-10 implementation. According to the survey, just 7% of physicians said they have started transitioning to ICD-10 extensively. 31% of respondents said they had not started the transition at all. 42% of respondents said they are “not at all confident” that the implementation of ICD-10 will cause no serious disruptions. 1% said they will need to completely replace their IT systems to comply with ICD-10. #And more than half had not yet completed end-to-end testing. #Some providers still believe the switch to ICD-10 isn’t going to happen this year. “This is an off-election year, and if I was a politician, I would roll ICD-10 out during an off-election year rather than delay it,” says Mr. Joshua Berman, RelayHealth ICD-10 Director. Provider organizations that haven’t adequately prepared for the switch are going to have issues with the processes that ICD-10 requires. However even organizations that have prepared may still have problems. The switch to ICD-10 requires coding staff, physicians and all others who document conditions to be properly trained to ensure billing is done correctly. For small practices Road to ICD-10 from CMS has primer for clinical documentation, clinical scenarios, and other specialty-specific resources to help with implementation. 6 foundations for ICD-10 implementation you can’t ignore! Have a timeline that outlines milestones, secondary tasks and deadlines keep implementation teams on task. Are you aware of your foundational knowledge strengths related to A&P, disease processes, pharmacology, etc.? Are you completing tasks to improve your weaknesses related to A&P, disease processes, pharmacology, etc.? Are you networking with a subject matter expert and peers? Are you practicing and applying codes to “real world” documentation? 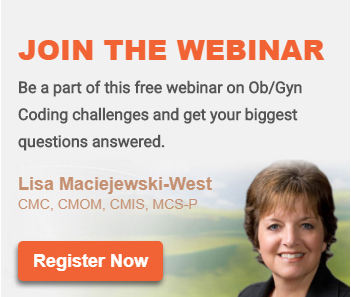 Are you working to understand the ICD-10-CM/PCS coding guidelines? Are you gaining a deeper understanding of the clinical documentation improvement protocols? Do you work collaboratively with clinical documentation specialists when a clarification or query is needed? Which agree upon goals of a CDI improvement process and ongoing focused reviews with feedback. Findings should include discussion of the documentation elements needed to support ICD-10 codes through use of specific examples. The value of more concise data capture for high quality data should be emphasized. For the most part, IT plans for the transition to ICD-10 are well underway, due in part to the conversion to 5010 compliance. Important elements of the IT building block for ICD-10 readiness to be monitored throughout the implementation include. Necessary upgrades and system maintenance. Decisions around how ICD-9 and ICD-10 databases will be accessed and maintained will need to be made. Practices should develop a budget and strategy to provide for additional cash reserves should delays in payment occur. Practices should conduct financial modeling to understand the impacts of moving from ICD 9 to ICD 10 – the impacts should be looked at by provider, by facility, by service line, and by geography if applicable. Managed care contracts should be reviewed and if necessary, renegotiated to decrease negative impacts to the bottom line. The readiness of high volume payers should be assessed to determine their ability to process claims. Many payers are now posting readiness information on their web sites. Conduct CDI reviews using ICD 10 code sets to determine if documentation contains the specificity necessary for ICD 10. The potential for backlogs in medical coding, billing, and claim edits should be analyzed and a strategy developed to work the backlogs. A strategy for pre and post ICD 10 denials management should be developed. Assess the readiness of external vendors who support coding, billing, follow up and denials. Any audits currently performed (compliance, RAC, etc.) should be reviewed to determine ICD 10 impact. 6.Post Go Live HIM/Coding Activities. Practices must follow through and monitor coding accuracy and productivity following go live. When problems are identified, strategies should be implemented to address workflow problems, process problems, and resource issues. Determine if further education and training is needed and provide it expeditiously to prevent future issues. Monitor for opportunities to improve data integrity through EHR enhancements, monitoring of alerts, and communication with physicians & clinical documentation improvement staff. Finally, monitor productivity to manage responding to staffing needs. Go live will be a challenging time for all and retention of highly trained, skilled coding staff will be essential. Which of these building blocks needs more attention in your organization? Vs Which has been successful? Or go cash only and forget about all this meaningless drivel.